Muriel Lindsay lives on a barrier island off the coast of Georgia having moved there 15 years ago for the specific purpose of connecting with the dolphins who live in the surrounding waters. She moved there to find a way to answer to an inner knowing she has carried her whole life. The knowing is that there is something she is supposed to come to understand and then share about the human/dolphin/whale connection. In that spirit of investigation, she has spent 15 years doing what she calls “participatory research” which basically amounts to just hanging out with dolphins on their terms, in the wild, both in and on the water, while opening all of her mental, emotional, physical and spiritual channels. She is affectionately known on the island as “the dolphin whisperer” based on her connections with the dolphins there. 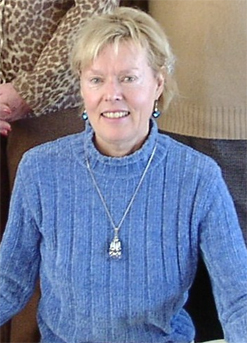 In 2014, her work reached a pinnacle in the publishing of “The Dolphin Letters, Vital Information from Sea to Land”, a collection of 33 letters from dolphins to the human race. She says of this particular book, she was born to bring it through at this particular time on our changing planet. Everything she has done previously in her life led to this sharing. In 2007, she published “The Chronicles of the Savannah River Dolphins” sharing about five years of experiences with her “teachers” and friends, the dolphins. In 2000 she published a fictional account entitled “Talking to Hurricanes” about the consciousness of weather. In 1980 she wrote and privately distributed “Dancers Over The Chasm” about the kind of individual who knows how to handle transformation the best. Prior to moving to her current home on Tybee Island Muriel was a teacher/healer who traveled the world to gather knowledge from many ancient grounds that would assist her with what she is currently doing. She has been able to spend time with dolphins in the wild literally all over the world since they inhabit every ocean. She received her Bachelor’s Degree from Agnes Scott College majoring in philosophy and got a Master’s Degree in Social Work at the University of Georgia. For more information, go to www.muriellindsay.com.